Precarious work is now pervasive in Ireland, with secure and regular employment increasingly being replaced by insecure, uncertain and unpredictable work, according to a report commissioned by the Irish Congress of Trade Unions. The report - 'Insecure and Uncertain: Precarious Work in the Republic of Ireland and Northern Ireland' - assessed the rise of precarious employment across the island of Ireland, and calls for legislation to tackle insecurity and bogus self-employment. Last year, 8% of the workforce in the Republic - almost 160,000 workers - experienced significant variations in their hours of work from week to week. 7% were in temporary employment but over 70,000 said that is because they cannot find permanent work. Around one tenth were self-employed without employees, while part-time self-employed workers without employees soared by 34% between 2008 and 2016. In Northern Ireland, 6% of the workforce is now in non-permanent employment, which is up a quarter in eight years. The authors say this probably reflects a long-term spread of precarious employment rather than a surge of entrepreneurial spirit. The report blames globalisation, technology, changes in labour law and distorted incentives that encourage employers to hire part-time workers, resulting in reduced tax and social insurance revenue. 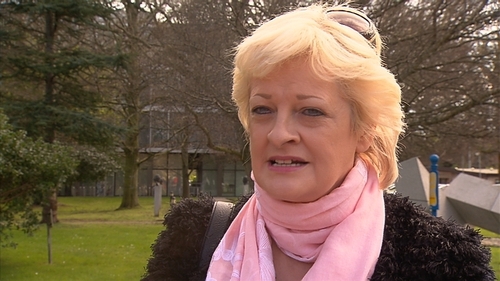 ICTU General Secretary Patricia King has urged the Government to legislate immediately to give workers security, and eliminate bogus self-employment. However, employer group Ibec is critical of the report, saying it "lacks balance in its observations on precarious employment". Ibec Director of Employer Relations Maeve McElwee said: "With employment growth at 2.9% in the first half of this year the clear trend has been towards full-time employment. "The number of people part-time underemployed has reduced by 43% since 2012 to the same level experienced in 2008. "The number of temporary employees as a percentage of the workforce fell by 20% from 2011 to 2016, with the number of people working variable hours at the lowest since 2000." Ibec also said it fails to recognise the "multiplicity of factors that influence workers’ decisions on their level of labour market participation, including issues such as work-life balance and childcare, transport and commuter costs". The General Secretary of Mandate has called for the immediate publication of legislation to deal with what he described as the "gross form of exploitation" resulting from precarious work. Speaking on RTÉ's News at One, John Douglas said low-paid workers have not been given certainty of contracted hours, despite the Government's promise to introduce priority legislation.